Embark on a fun, exciting journey through God's Word with the full-colour NKJV Adventure Bible. Along the way you'll meet all types of people, see all sorts of places, and learn all kinds of things about the Bible. All with a jungle safari theme; and 8 pages of colour maps. Adventure Bible, NKJV by Lawrence O. Richards was published by Zondervan in October 2014 and is our 7693rd best seller. The ISBN for Adventure Bible, NKJV is 9780310746515. 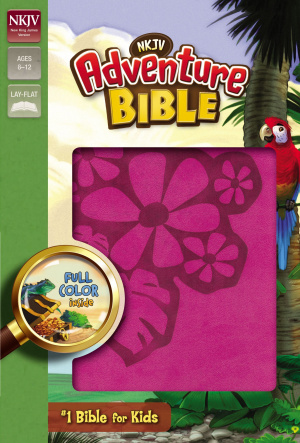 Be the first to review Adventure Bible, NKJV! Got a question? No problem! Just click here to ask us about Adventure Bible, NKJV. A:Alternatively, you can email at: service@eden.co.uk with your contact information and we can call you back - we look forward to hearing from you.